We’re excited to announce that Caroline Lewko will deliver a keynote address at this year’s Over the Air! 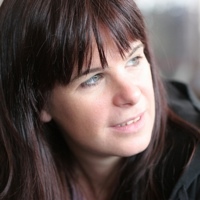 Caroline has been in the wireless/ telecom industry since 1995, as a coder, funder, business developer and entrepreneur and is known as the ‘connector’. She is sought out by investors, executives and developers alike for insights, contacts and advice; and has advised and funded hundreds of companies. 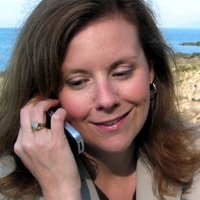 She was named one of the 2009 Top 10 Women in Wireless by Fierce Wireless. She started WIP to make the path easier for mobile developers, reduce cycle times and increase innovation in the mobile ecosystem, through events like WIPJAM; Go to Market programs and resources like the WIPwiki. Caroline founded the Wireless Innovation Network of BC (WINBC ) in 2001, and Wavefront , a wireless development center, and is Past Chair of both organizations. One of the key features of Over the Air is the in-event competition, store which gives you a chance to show off the clever and fun ideas you’ve been coding and hacking away at over the course of the event. To enter the competition, we’ll be setting up an online submission form that we’ll make available during the event. You can always check the Competition page on the blog to find out the latest details. There are no limits to how many times you can enter, nor on the size of the team that you enter with. The application, widget, web app, or service idea that you submit doesn’t have to be ‘complete’ but does need to be presentable to the audience in a way that makes it clear how it works. If you’ve got an idea you’d like to work on, but want to find a few people to work on it with you, just join the conversation on the BackNetwork forums. We may be adding more general competition categories as we get closer to the event – so keep your eyes peeled! We are very pleased to have Ben Reason of live|work presenting an Introduction to Service Design, cheao sale as well as moderating our panel on Service Design in Mobile. Ben is a co-founder of live|work and over the past eight years has directed his passion for social impact projects into delivering successful change for the public sector. Ben graduated from Liverpool John Moores University in 1994 with a BA in Fine Arts, salve following this in 2000 with an MSc in Responsibility and Business Practice from the University of Bath. Ben has a background in design and innovation in network enabled services with Razorfish and Oyster partners working with Orange, Vodafone, Nokia, Sony, Experian and Oracle. He founded livework to create a dedicated service innovation company. 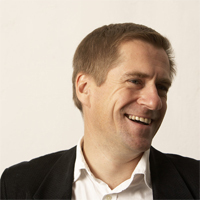 Ben works closely on Service Innovation for the NHS Innovation Institute, The Design Council and the Cabinet Office. Ben has written articles for the NHS ‘In View’ magazine and has been featured in the Independent Herald Tribune. In 2009 he was voted one of the Top 20 most influential designers in IKON magazine. Ben has provided strategic guidance and project delivery management on a range of high profile public sector projects for organisations such as BBC NHS, Home Office, Vodafone, Experian & RSA. We are thrilled to announce that Microsoft is a Gold Sponsor of Over the Air! It is thanks to the financial support of our sponsors, malady that we are able to make this event completely free to attend. The Microsoft Developer Network (MSDN) is Microsoft’s central resource for developers, see but with the launch of Windows phone we have a complimentary resource to help you use the development tools and technologies you are familiar with. Once you have your mobile application Windows® Marketplace for Mobile makes it easy to manage and distribute your applications, and will directly connect you with millions of Windows Mobile users worldwide. Name an example of service design in mobile… Did you think of Flirtomatic? Mark Curtis, viagra 100mg who will be part of the panel on Service Design in Mobile is CEO of Handmade Mobile, the company behind Flirtomatic. Mark was previously a partner at Fjord, inventing and building cross platform and mobile products for clients such as Nokia & Orange. Prior to that he was a global EVP for Razorfish responsible for 1500 staff. Together with a partner, he set up CHBi in 1994 to develop interactive technology solutions for marketing clients; by 1998 it was one of the top 3 new media agencies in London and was acquired by Razorfish. He has a track record in media innovation (for clients such as Yell, RAC & Allied Domecq). 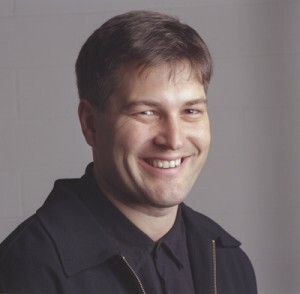 Prior to becoming involved in digital media, Mark had set up Curtis Hoy, a successful media promotion company which spearheaded the use of radio for sales promotion in the late 1980’s and early 1990’s. 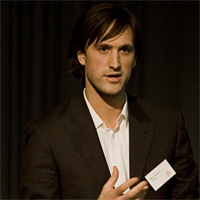 He is also the author of Distraction – Being Human in the Digital Age (Futuretext 2005). He likes cycling and mountains and wine and has five children. We are very pleased to announce Nico Macdonald as the moderator on a panel on the sources of innovation; Inspiration / Outspiration: where do ideas come from? Nico is a writer and consultant working around innovation, technology and design, with a focus on media. He writes for publications including BBC News Online, Guardian Technology, and The Register, and has written for most English language design publications. He is author of ‘What is Web Design?’. In 1996 he co-programmed the first UK conference on design and the Internet, and in 2000 founded the Experience Design London group, which informed the development of interaction design thinking and practice around the fixed and mobile Web. His work is documented at Nico Macdonald | Spy . We are very pleased that Brendan Walker will be speaking as part of the panel of artists and designers for Inspiration / Outspiration: Where do ideas come from? Brendan Walker is the director of Aerial. Blending strategies from the arts, design, engineering and psychology, Aerial offers strategic consultancy; the design and production of intriguing interactive electromechanical installations, sculptures and rides; and the curating and staging of engaging events. 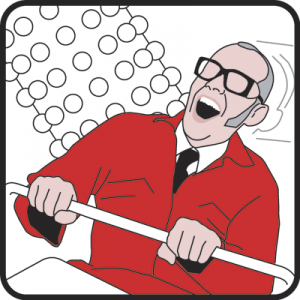 Brendan is most noted for his Thrill Laboratory performances and research, which have earned him recognition as “the world’s only Thrill Engineer”. Also reprising his role from last year will be Yahoo!’s Ricardo Varela. Ricardo, who joined Yahoo! in 2007, and his team are responsible for Yahoo!’s mobile product development, working to provide Yahoo!s community of users with the best possible mobile first experience. Prior to joining Yahoo!, Ricardo worked on mobile product development at Microsoft and Google. Ricardo started his career at the age of 19, forming his own mobile and web videogames community which he then successfully sold on to Broadcast. He is a regular speaker in Mobile events and collaborator in different initiatives regarding mobile development. 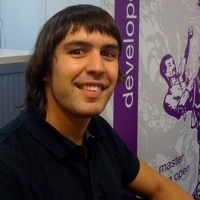 Ricardo will be speaking on “Building mobile applications with Yahoo! Blueprint” and “Using Yahoo APIs for the mobile web: content, location and context”. Henny has focused on accessibility and usability since the late 90’s when she started out working for a Chinese search engine and her own start-up in China. From there she worked as Senior Web Accessibility Consultant at RNIB in the UK consulting with Government, corporate and retail websites. Henny’s interest is in where accessibility overlaps with mobile web design. She has a “built in” rather than “bolt on” approach to user access across websites, browsers and platforms. Working at Opera she also focuses on emerging standards such as HTML 5, SVG and CSS3 and how these can support built in accessibility across all platforms and devices.